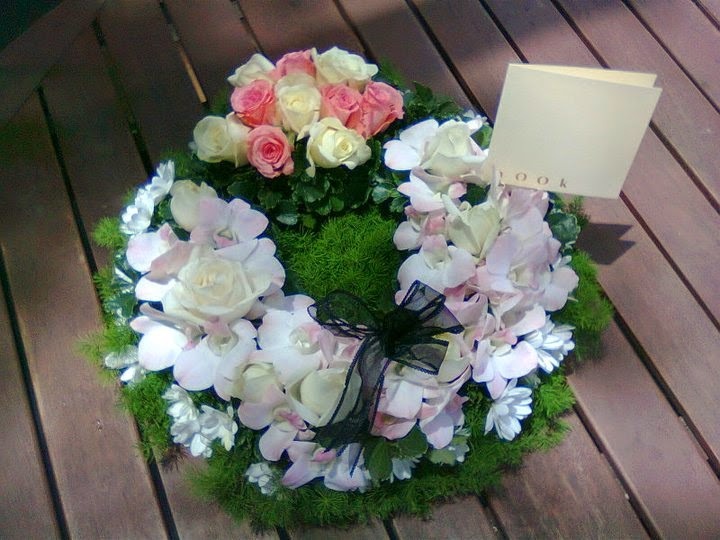 A life well lived is a life remembered with love. 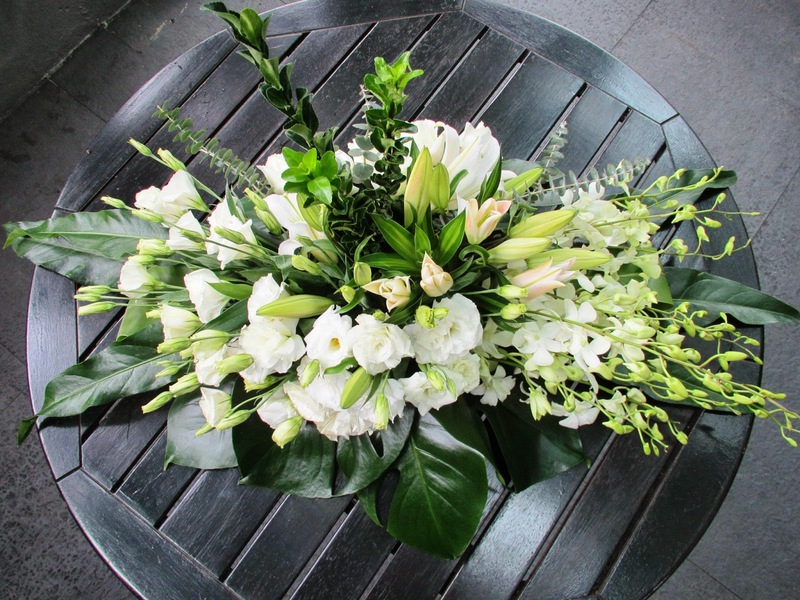 In moments of deep sadness and grief, flowers offer unspoken words of solace and comfort. 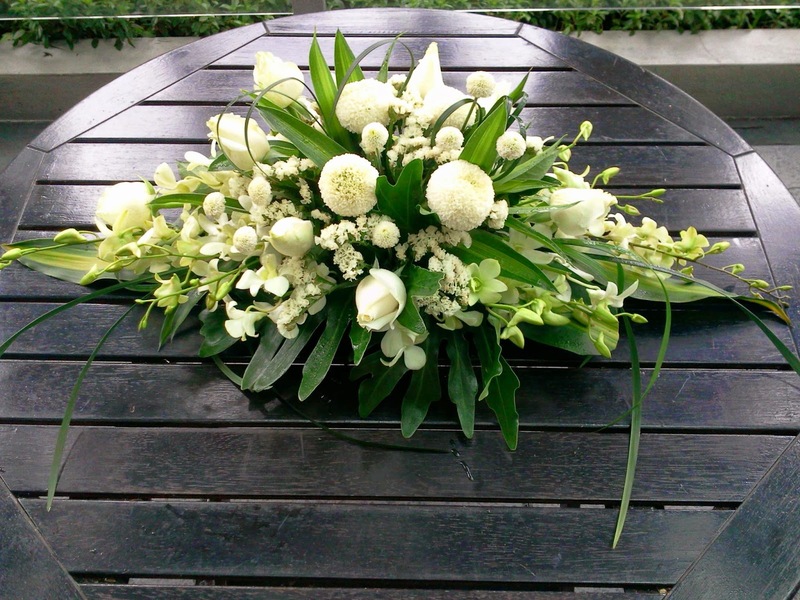 Multi-tiered stand tenderly composed with cream roses and dendrobium orchids and lashes of trailing ivy. 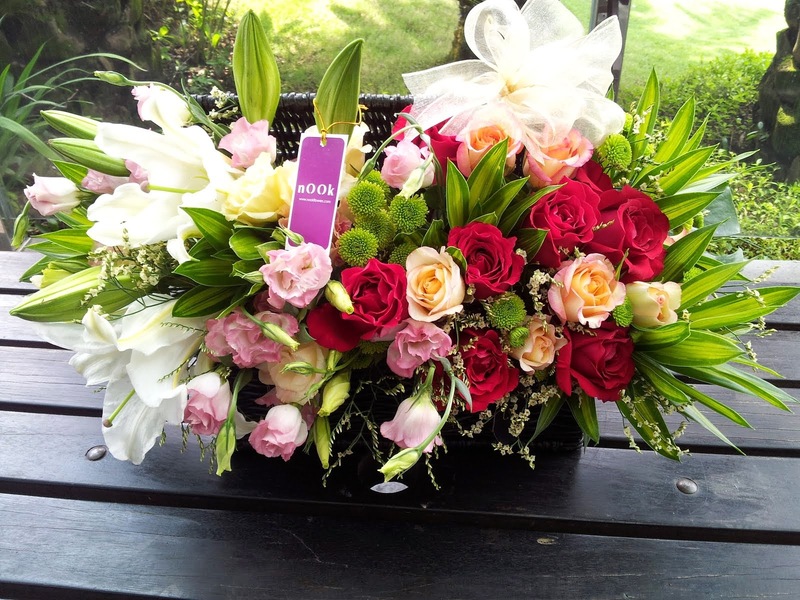 Sweet and respectful composition of Luck pink orchids and cluster of pink and white roses presented on a bed of greenery. 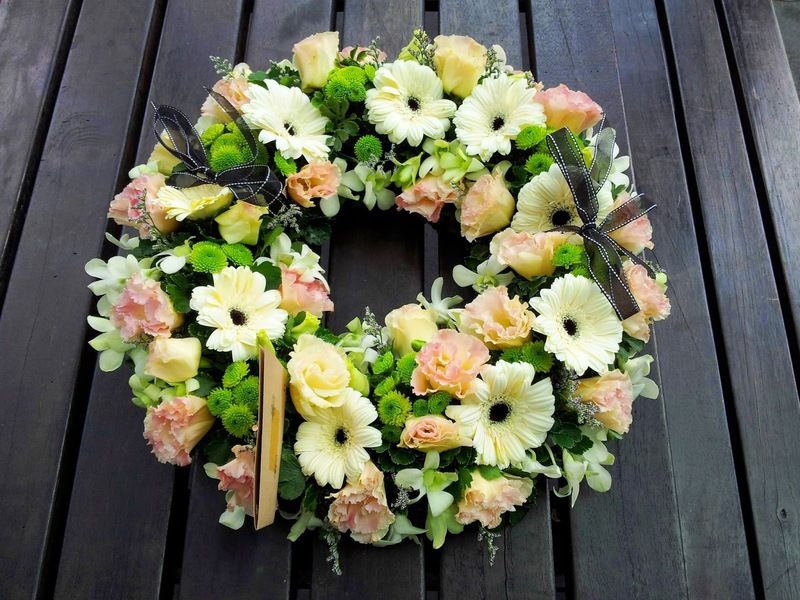 Two-tiered wreath on stand made with roses, daisies, orchids and variegated ivy. 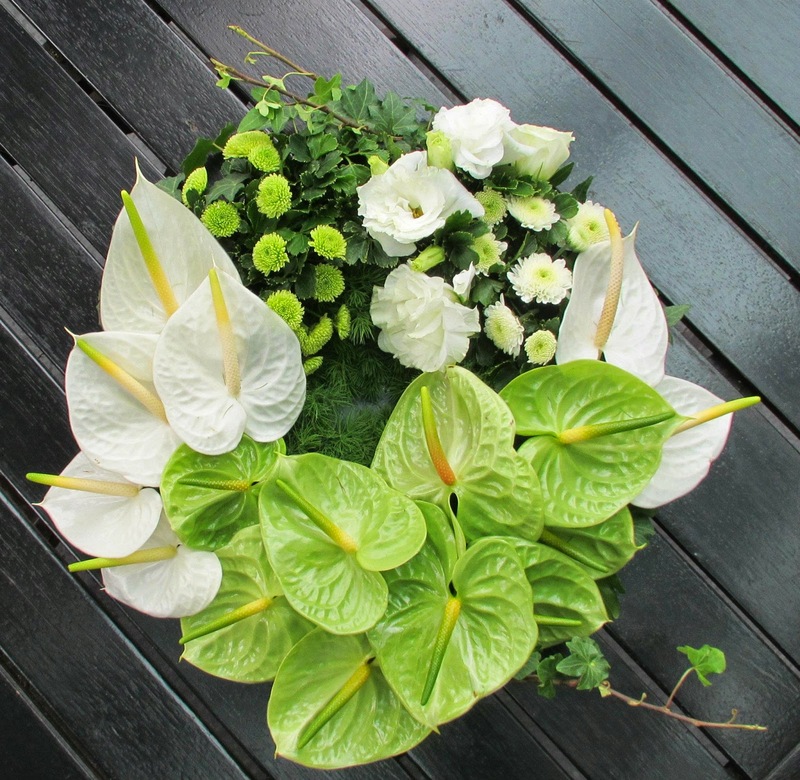 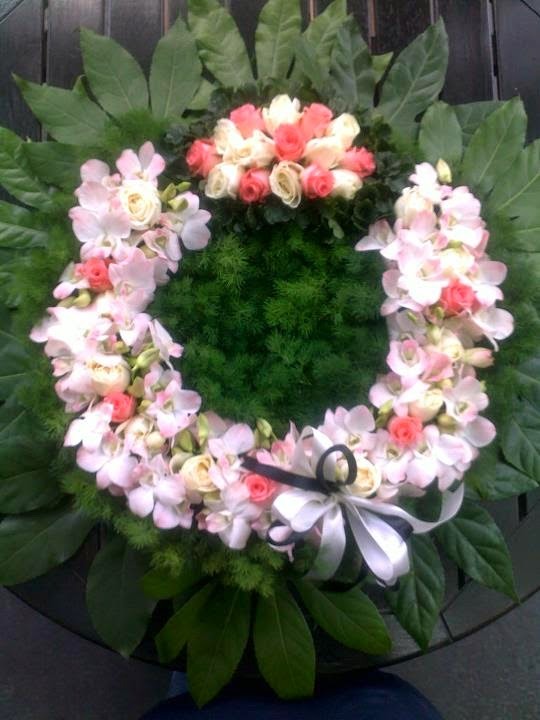 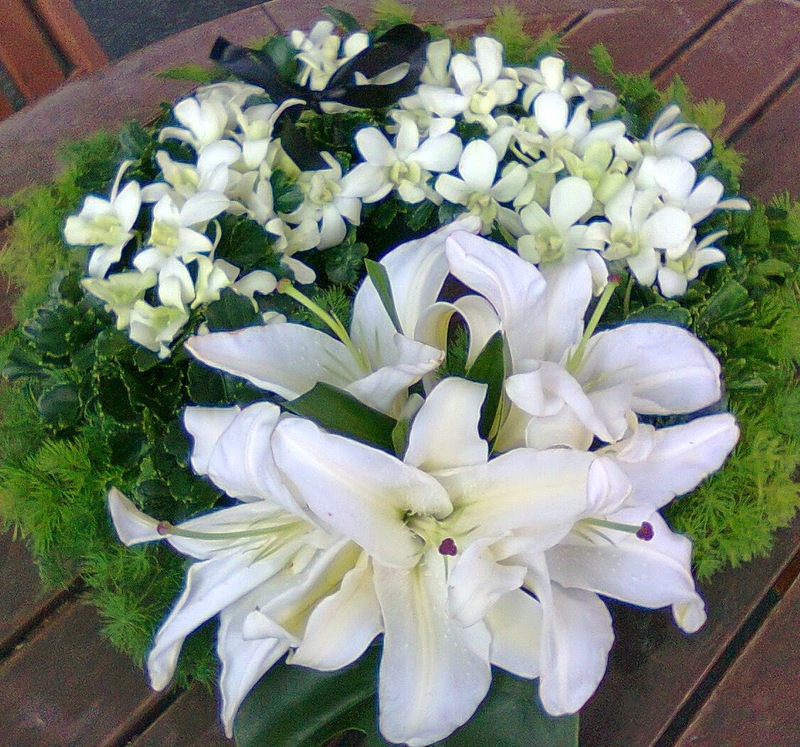 This sweet smelling wreath is composed with lilies, orchids and daisies. 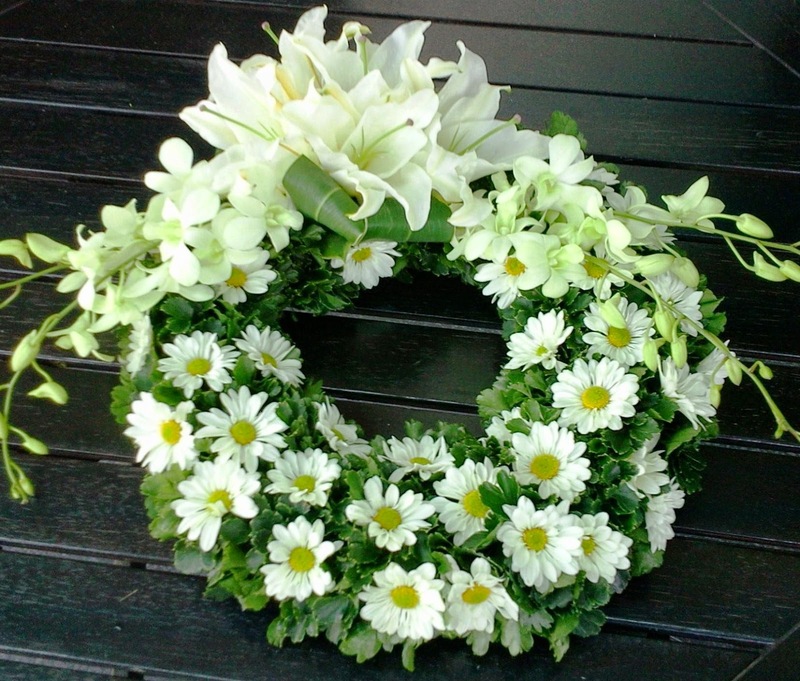 Chic, modern take on the classic wreath. 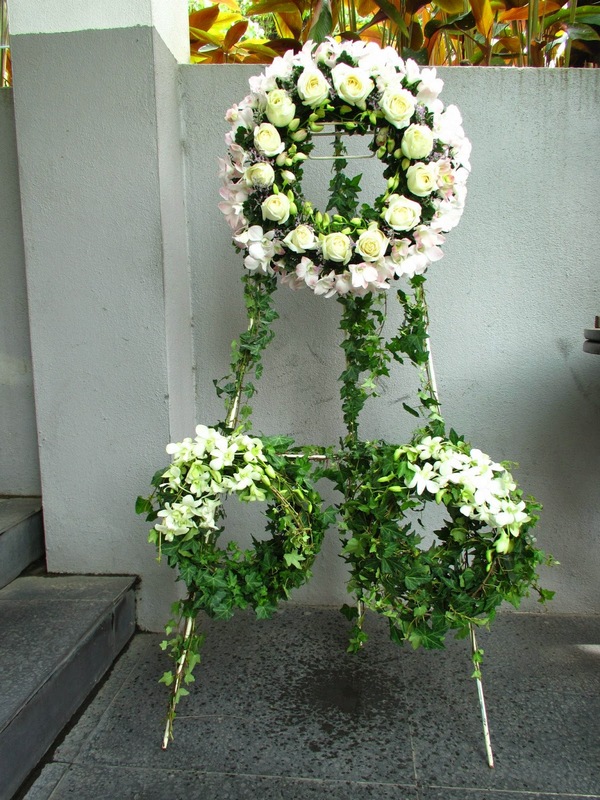 Long and low arrangement with white roses and inga ping pong mums. 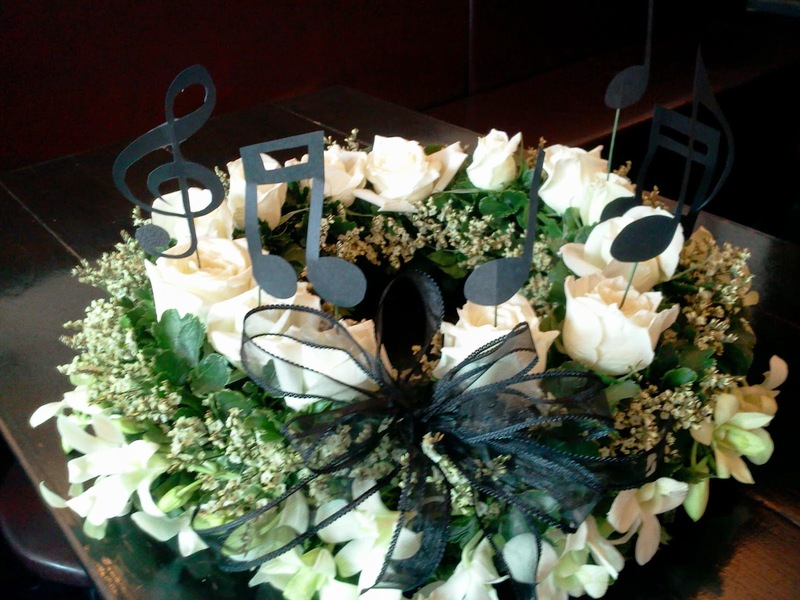 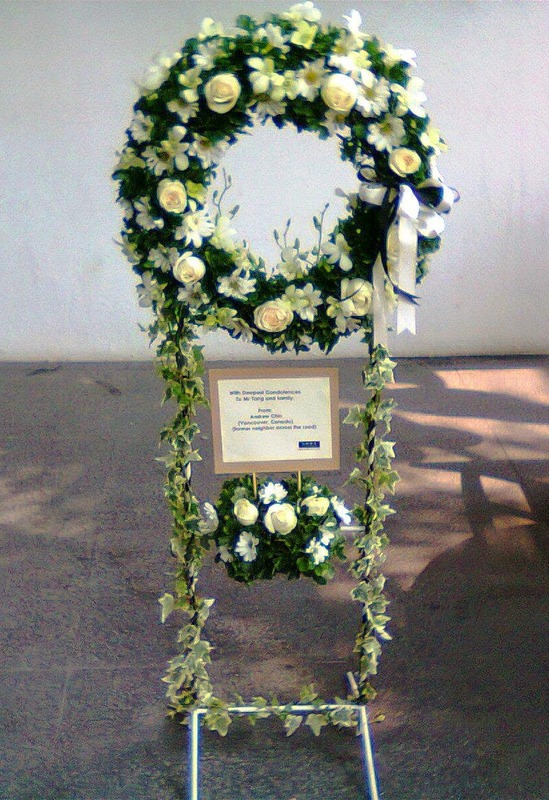 Specially made for The Philharmonic Society of Selangor in honour of a wonderful lady, who was an avid supporter & friend of The Phil, and who sadly passed away too soon. 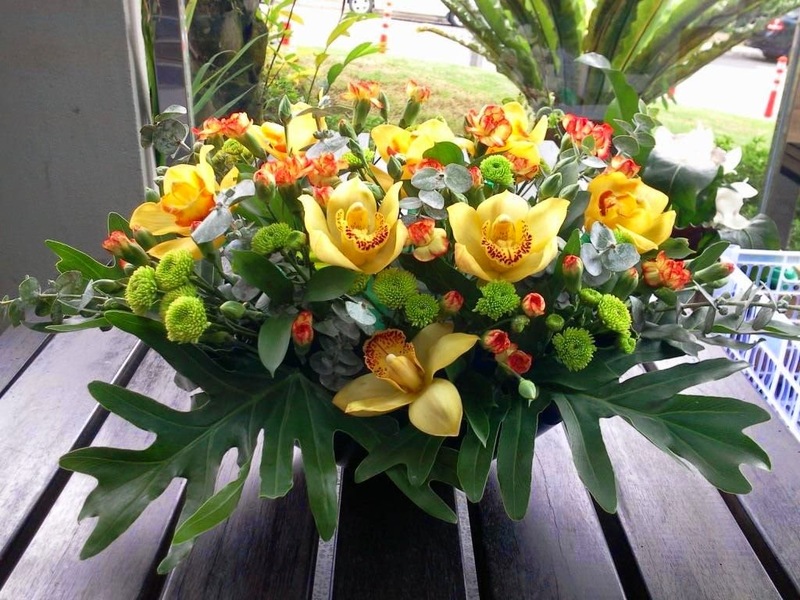 Great for a sideboard or dining table, this arrangement features cymbidium orchids, spray carnations, kermits and eucalyptus and lush foliage.